Wendy’s is offering free Baconators to customers who spend more than $10 on an order using DoorDash. McDonald’s also announced that it is giving away free bacon for an hour on January 29. 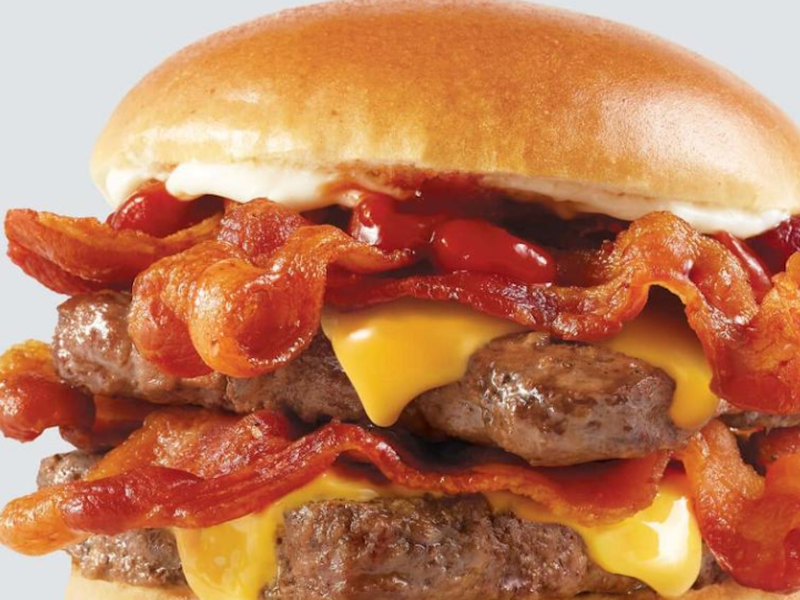 Wendy’s is offering free bacon cheeseburgers for the next week. Starting on Monday, the fast-food chain will be offering a free Baconator to any customer who spends more than $10 on a delivery order using DoorDash. The deal runs through February 4. Wendy’s is late to the party when it comes to bacon-themed deals, however. Last week, McDonald’s announced it would offer customers one hour of free bacon on January 29 when they purchase any item on the menu. The deal was meant to highlight McDonald’s new thick-cut, Applewood-smoked bacon as well as three new bacon-centric menu items: the Big Mac with bacon, the Quarter Pounder Bacon burger, and cheesy bacon fries. The two chains have been battling it out since Wendy’s kicked off 2018 with a Twitter campaign mocking McDonald’s for using frozen beef in some of its burgers. Business Insider crowned that battle the biggest feud in fast food in 2018.